THE SUBJECT : Respect for Authority. THE BIBLE VERSES TO READ : There are too many to list. We recommend you study the verses given in the Larger Catechism, Questions 123-133. REFERENCES TO THE STANDARDS : Confession of Faith, XIX.6 & 7; Larger Catechism, Q. 123-133; Shorter Catechism, Q. 63-66. Not long ago a person said to me, “As long as you think a law or a rule is wrong, it is alright to disobey it.” The person was serious. This is the reasoning used today by many people. This is the reasoning that is propagated by so much of the media today. This is the reasoning so many of our young people are taught today. Whether you are thinking of the relationship of the citizen toward the state, or the worker toward his boss, or children toward their superiors, or the congregation toward the man called of God to preach His Word, you will discover that lack of respect for authority is the prevalent approach of today. This dangerous philosophy has even reached into churches that call themselves evangelical. There seems to be a popular tendency to ignore many times the Word of God. Too many feel they have a perfect right to make their own rules. The Fifth Commandment speaks very clearly to any person following this false philosophy. The Almighty, Sovereign God knew that respect for authority was very important. He knew that if a family, a nation, an economy, a church was to carry out its duties in this world there must be some clearly laid down rules. Therefore, He emphasized proper respect for authority in His Word time and time again. Our Lord told us in His Word, “Obey them that have rule over you.” This thought is presented time and time again in the Bible. He knew that a lawless society would soon become a mob and a mob becomes a group of people out of hand, a law unto themselves. What has caused the loss of respect for authority? What has caused this new philosophy to become such an important part of the thinking of many? Such questions could not be answered fully in the short space available, but a suggestion can be offered as to what is happening in many churches in this regard. First, there is the move away from the authoritative preaching of the authoritative Word. The widely evangelical view of subjectivism is rapidly replacing Objective Revelation (God’s Word) in many churches. The emphasis today in so many churches is that of more involvement, more dialogue and less monologue. What is being bypassed is that faith does not just “happen” but it comes through the means of grace. Too many are forgetting Shorter Catechism Question 88 and its definition of the means of grace : “The outward and ordinary means whereby Christ communicateth to us the benefits of redemption are His ordinances, especially the Word, Sacraments and prayer…” The need of the people to hear the authoritative Word any time it is proclaimed is great and dare not be bypassed. This is a basic reason for the lack of authority in other areas. Second, there is the philosophy used by many professing believers that motivates them to move away from any position of unpopularity before others. It is difficult to be popular today and insist upon rightful authority as parents, or teachers, or elders, or whatever their authority might be, decide to close their eyes to certain portions of Scripture in order to keep their popularity. They forget that to break a principle of Scripture is to court disaster as a person and for whatever the cause in which the person is involved. There is a principle of Scripture involved here that all professing believers need to be reminded of as they seek to walk before the Lord. The Bible states, “Yea, and all that will live godly in Christ Jesus shall suffer persecution.” (II Tim. 3:12). Certainly believers are not to court persecution but neither are they to expect otherwise if they are walking before the Lord as they should. And sometimes walking before the Lord involves having authority over others and making use of that authority in love. Third, respect for authority will only come when respect is due. This means that those in authority, whether it be civil, home, school, or church, must command respect because of their walk with the Lord. The example set by those in authority must be Biblical in all ways. How many times have those under authority seen inconsistencies? Broken promises, lack of separation from the world, unconcern for the church and Bible study, neglect of loving concern for fellow-believers, are just some of the things that could be mentioned as inconsistencies with God’s Word. If respect for authority is going to return as an integral part of churches who are committed to the Reformed Faith, then those in authority must read again and obey those commands listed in the Larger Catechism, Questions 129 and 130. This is where the change must begin. Respect for authority will be much easier if those in authority live in a way that will command respect. Take heed, civil servants, parents, teachers, elders! So ends Rev. Van Horn’s study. To approach the issue from a different angle, we might turn to the Diary of the Rev. Jacob Jones Laneway and his entry for this day, January 22, 1801. The sovereignty of God and His rule over all creation is the ground and basis of all authority. For “He changeth the times and the seasons: he removeth kings, and setteth up kings: he giveth wisdom unto the wise, and knowledge to them that know understanding.” (Dan. 2:21, KJV). Several years ago on this day, January 11th, our post concerned the pastoral charge brought by the Rev. 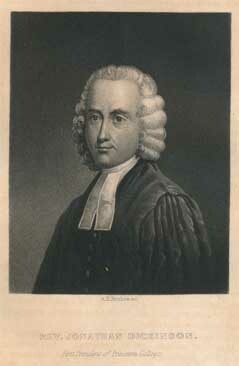 John Mathews in 1818, at the ordination and installation of the Rev. 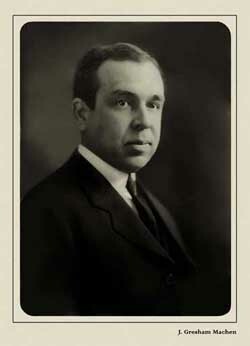 Wells Andrews as pastor of the Second Presbyterian Church, Alexandria, Virginia. In particular, we focused on the concluding exhortation to the congregation to pray for their new pastor. The chief qualification, however, for usefulness, in the pastoral office, is piety; genuine, fervent. The powers of darkness never wielded, against the cause of Christ, a more dangerous weapon than an irreligious clergyman; especially if the garb of morality conceals from public view the base infidelity of his heart. His learning and talents only render him the more dangerous. His ministrations can only increase the torpor of spiritual death among the flock committed to his charge. In him the love of religion can have no place; he must, therefore, be influenced by some selfish and mercenary motive. Perhaps the revenue of the church, his yearly salary, is all the reward he desires. Or if ambition should be his ruling passion; if he thirst for literary fame, then he will permit his hearers to sink quietly down to perdition, provided they depart with the language of adulation to his vanity on their lips. Or perhaps he claims to be distinguished as a man of zeal; then no sacrifices, not even compassing sea and land, will be too great to gain proselytes. His learning and talents will be employed in biting and devouring those on whom his efforts prove ineffectual. But if he can succeed in teaching the shibboleth of his party, and drill his followers in all the routine of external forms, then his work is accomplished, and he expects his reward. Jesus said, “I am the good shepherd; the good shepherd giveth his life for the sheep. . . I am the good shepherd, and know my sheep, and am known of mine. As the Father knoweth me, even so know I the Father; and I lay down my life for the sheep.—John 10:11, 14-15, KJV. He saith unto him the third time, Simon, son of Jonas, lovest thou me? Peter was grieved because he said unto him the third time, Lovest thou me? And he said unto him, Lord, thou knowest all things; thou knowest that I love thee. Jesus saith unto him, Feed my sheep.—John 21:17, KJV. The duties of the pastoral office : a sermon, delivered in the Second Presbyterian Church in Alexandria, at the ordination of Wells Andrews, January 11, 1818, before the Presbytery of Winchester. Machen’s article only becomes more relevant with the passing years. At the synod in 1729, Dickinson and his followers won the day with what has become known at the Adopting Act of 1729. [Link fixed, 9/17/15 @ 10:23 a.m.] The document stated that on the one hand, there was a clear requirement to receive and adopt the Westminster Standards. 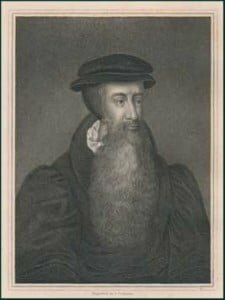 However, if an elder, whether teaching or ruling elder, had an exception to those standards, he was to make known to the church or presbytery his exception. The latter body would then judge whether the exception dealt with essential and necessary articles of doctrine, worship, or government. If it did not, then he could be ordained without official censure or social ostracism. See also, The Meaning of Subscription, by Rev. 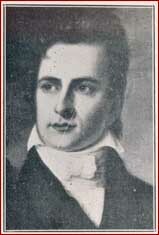 Benjamin McKee Gemmill. A. — Effectual calling is the work of God’s Spirit, whereby, convincing us of our sin and misery, enlightening our minds in the knowledge of Christ. and renewing our wills, he doth persuade and enable us to embrace Jesus Christ freely offered to us in the Gospel. Scripture References: II Tim. 1:8,9; Eph. 1:18-20; Acts 2:37; Acts 26:18; Ezek. 11:19; John 6:44,45; Phil. 2:13; Eph. 2:15. Calling has been recognized in Reformed Theology as both “external” and “internal” call. The first is the call of the word whereby o all sinners are freely invited to Christ, that they may have life and salvation in Him. However, this call is insufficient in itself to enable them to come to Him. The second is the internal call of the Spirit that accompanies the proclamation of the word whereby the sinner is not only invited to Christ but is inwardly enabled to embrace Him as He is freely offered in the Gospel. Conviction of sin, though no evidence of conversion, is necessary to it. The Gospel is offered to those who are in their guilt. Without a recognition of the guilt the sinner will never be convinced that he will perish without the righteousness of Christ. This conviction is a gift of the Holy Spirit. He was sent to convince the world of its sin. The means by which the Holy Spirit does this is the subject of our Catechism Question. He, the Holy Spirit, convinces and enlightens. The Holy Spirit convinces of sin through the Law. The person seeking Christ is brought face to face with the standard of the law. He is not to judge himself by others nor is he to judge himself by a cultural standard he has set up that makes him look good in the eyes of himself. This is the reason it is so necessary for the preacher of the Gospel to hold high the Truth, the standard as is set in the Word of God. It is equally necessary for the Christian to obtain every kind of Scriptural knowledge of Scripture possible, especially committing it to memory, so as to be able to quote it correctly at the appropriate time. The Holy Spirit will use such to the glory of God. (1) Avoid all sin, exercise all right affections toward God and our fellow-men, being devoted to His glory and service. (2) Be willing to suffer for Christ. (3) Love Christ more than any other object, more than our lives. It was a favorite saying of Charles Hodge that it is the great duty of the Christian to labor to convince the world of the sin of unbelief in Christ. Hodge said that the Spirit produces this conviction through the truth a.nd He can use our labor to lead them to receive, acknowledge, love, worship, serve and trust Jesus Christ. Such is the teaching of Acts 1:8. May we be faithful to it.